The Supreme Court had on July 5 directed the Centre to file a comprehensive action plan to ensure eradication of leprosy from the country, saying the "curable" disease cannot be allowed to affect the people. 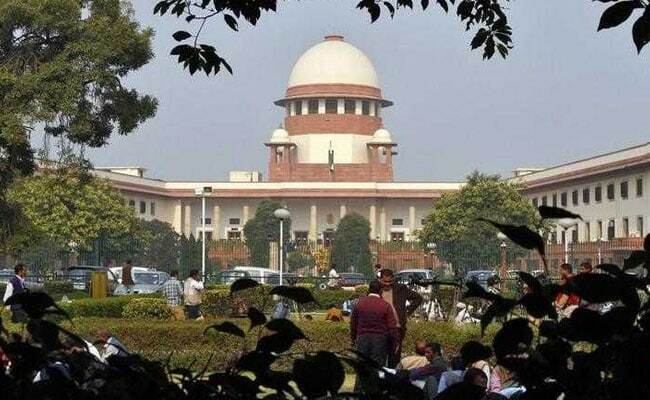 The Supreme Court today directed the Centre to consider framing separate rules for granting disability certificates to leprosy patients for availing reservation and various welfare benefits. A bench comprising Chief Justice Dipak Misra and Justices AM Khanwilkar and DY Chandrachud issued a slew of directions to the Centre and all states for eradication of leprosy and rehabilitation of those suffering from it. "Medical staff in private and government hospitals be sensitised to ensure that leprosy patients do not face discrimination," the bench said. The Supreme Court further said that awareness campaign should be launched so that leprosy patients are not isolated and allowed to lead a normal married life. The court also asked the Centre and states to frame rules that public and private schools do not discriminate against children from leprosy affected families. The top court had on July 5 directed the Centre to file a comprehensive action plan to ensure eradication of leprosy from the country, saying the "curable" disease cannot be allowed to affect the people. The bench was hearing a plea filed by advocate Pankaj Sinha alleging that the government was not taking adequate steps to eradicate the disease. Additional Solicitor General Pinky Anand, appearing for the Centre, had said that the government was not taking an "adversarial" stand on the plea that has raised the important the issue. Earlier, the bench had asked the Centre to place on the record the 'Draft Implementation Programme' for eradicating leprosy from the country. The bench was informed that Delhi, Andhra Pradesh and Chhattisgarh were leprosy-endemic states and efforts were needed to eradicate the disease from these states. The Centre had said an online programme was being launched to detect the patients and their treatment. The court had earlier pulled up authorities for their "apathy" towards eradicating leprosy from the country, saying despite it being "curable", the disease still remained a stigma. Mr Sinha, in his plea, has alleged that leprosy affects over 1.25 lakh people annually in the country. He had also alleged that the governments have failed to eliminate the disease despite medical treatment being available since 1981. "Despite an effective cure, namely Multi-Drug Therapy (MDT) which has been available since 1981, that can completely cure 99 per cent of leprosy bacteria, due to apathy of the Government of India and state governments, people are still suffering from the said disease, which is treated as a social stigma," the petition had said.